Now that I have this little DCC test layout, I can proceed to practise some of the skills and procedures that will be required for the final layout. I tried to superimpose the list of these skills on the sketch of the test layout - but the text is too small to read; so, I'll type the list here as well. 1. Hide the wires under the board. 2. Solder the connecting wires to the points motor - at present they're simply tied. 3. Pin down the track after first drilling micro holes through the plastic sleepers. Note: will have to purchase suitable drill and drill bit. 4. 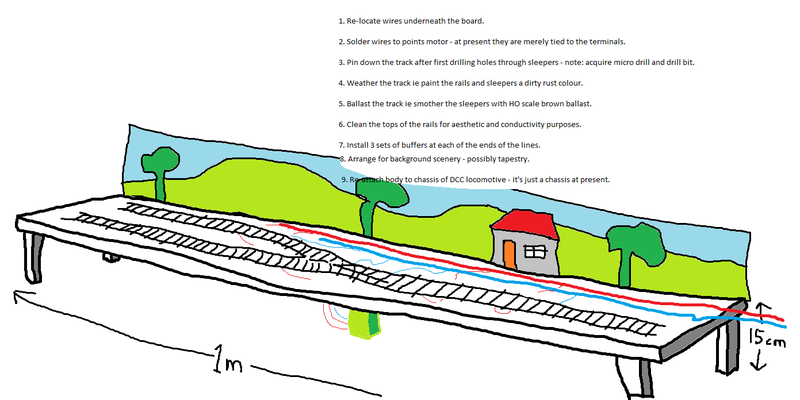 Weather the track by painting the rails and sleepers in a dirty rust colour. 5. Lay the ballast along the track. 6. Clean the top surface of the rails for aesthetic and conductivity reasons. 7. Instal 3 sets of buffers at each of the ends of the lines. Have to purchase them first. 8. Create background scenery - possible out of tapestry. 9. Re-attach body to Jouef loco after first servicing its motor and running gear ie oiling it and running it in on running cradle. I was looking on the internet for background information about my new favourite tenor, Aksel Schiotz. Came across this. God knows what surgical butchery was the practice in the late 1940s! In 1946 Aksel Schiøtz survived a tumour of the acoustic nerve which had to be operated, but it left the right hand side of his face partly paralysed. 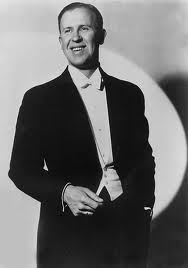 He succeeded by sheer will-power to sing in a comeback recital in 1948. His career was tragically halted when he developed a brain tumour in 1950, which led to an impairment of his speech. However, he regained his capacities as a singer and gave concerts as a baritone.